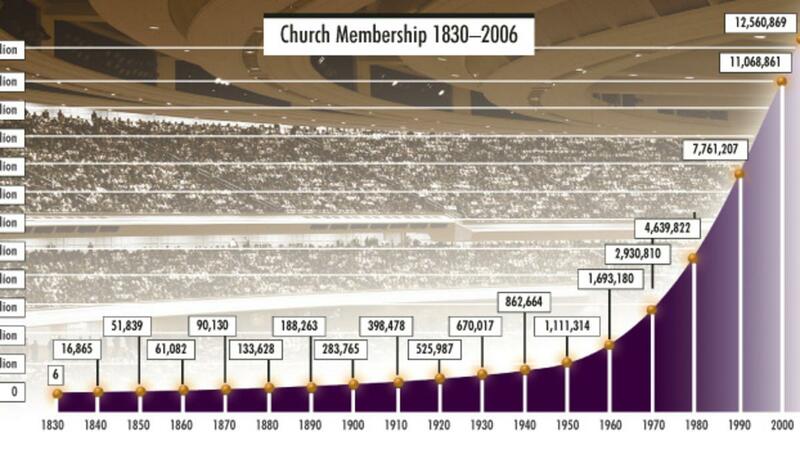 The Church of Jesus Christ of Latter-day Saints (LDS Church or Mormons) started with six members in the United States in 1830 and now has more than 15 million members worldwide, with more people joining the Church each year (see “Worldwide Statistics,” mormonnewsroom.org). Take a look at some additional information about the operation and growth of the Church around the world. What does the Mormon Church do? 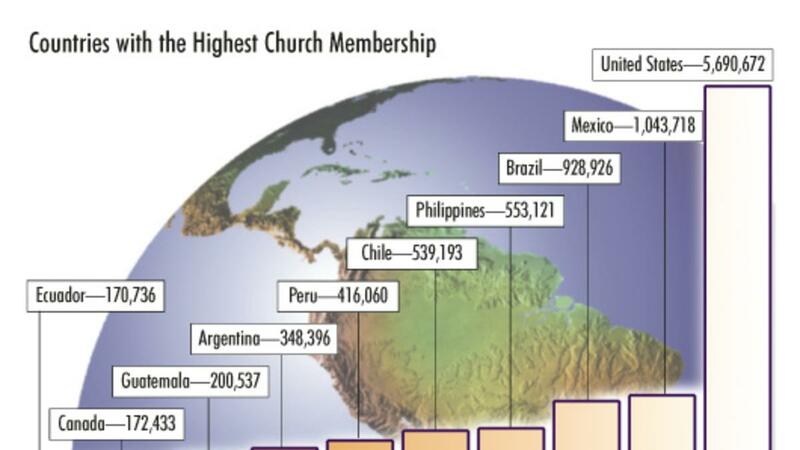 Members of the Church meet in more than 30,000 congregations around the globe. Congregations meet weekly on Sundays in their local chapels to worship God and learn about His gospel. The Church of Jesus Christ also operates 4,918 family history centers in 153 countries, where both Church members and nonmembers can find information about their ancestors. Since 1985, the Church has provided humanitarian aid, including disaster and refugee relief, to 189 countries. It also sponsors worldwide welfare initiatives such as wheelchair and immunization programs (see “Humanitarian Aid and Welfare Services Basics: How Donations and Resources Are Used” mormonnewsroom.org and “Worldwide Statistics,”). Education is also a priority for the Church, which runs four universities and colleges and has over 407,900 high school-age students enrolled in its seminary program for youth. What do Mormon missionaries do? Much of the growth of the Church comes through the efforts of Mormon missionaries. 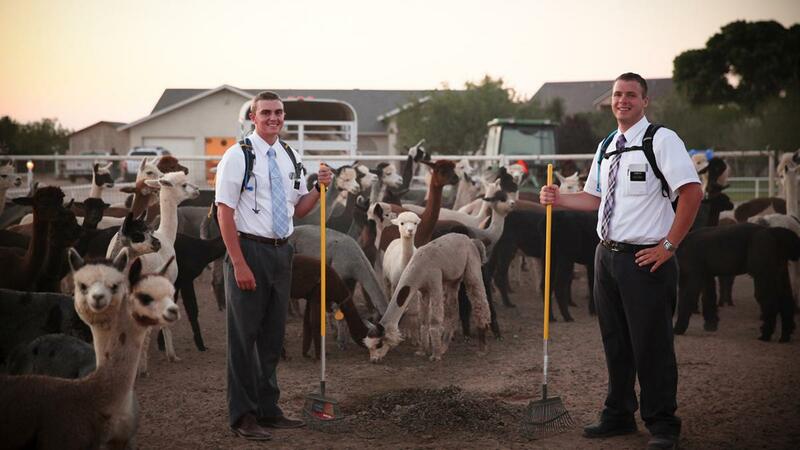 Mormon missionaries are one of the most recognizable elements of the Church’s outreach efforts. 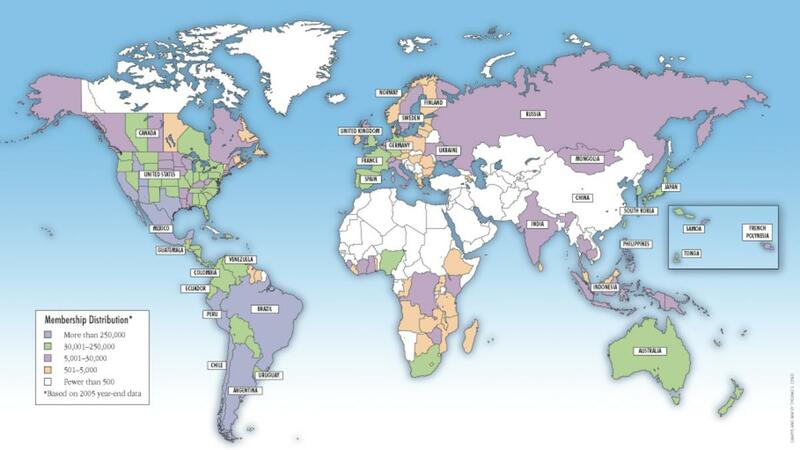 In fact, the Church has more than 74,000 missionaries around the world (see “Missionary Program,” mormonnewsroom.org)! If you’ve ever wondered just who Mormon missionaries are, they are regular members of The Church of Jesus Christ of Latter-day Saints who choose to spend between 1.5 and 2 years teaching others as unpaid, full-time volunteers and strive to be servants of Jesus Christ. 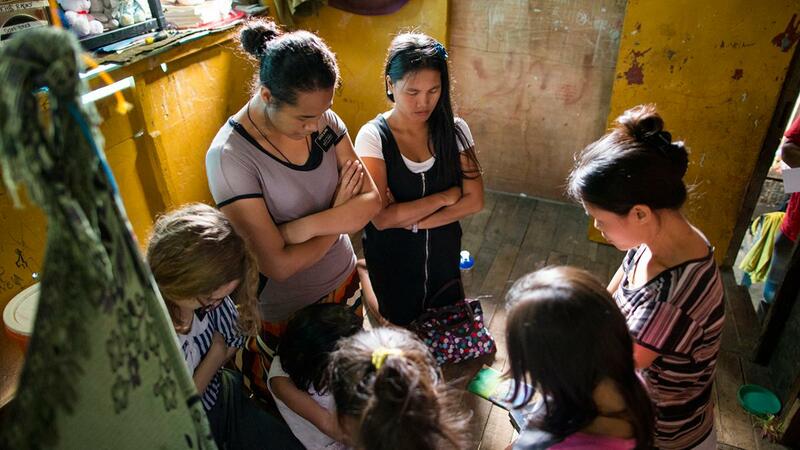 Their main purpose is to help people come unto Christ by teaching them about His restored gospel. Mormon missionaries not only spend their time teaching people about Jesus Christ, they also follow Christ’s example by spending time serving those in their communities. In addition to chapels, which are used for regular Sunday worship, Latter-day Saints worship in temples around the world. President Thomas S. Monson, the President of the Church, explained, “to members of The Church of Jesus Christ of Latter-day Saints, the temple is the most sacred place on earth. It is the house of the Lord” ('Blessings of the Temple,' Ensign, Oct. 2010, 13). In the last several decades, the number of Mormon temples has increased dramatically to accommodate worldwide Church growth. In mid-1981, the Church had only 19 operating temples; near the end of 2000, 100 temples were in operation (see Gordon B. Hinckley, “This Great Millennial Year,” Ensign, Nov. 2000, 68). In February 2017, there were 155 operating Latter-day Saint temples around the globe, with 11 temples under construction, and 11 additional temples that had been announced but were not yet underway. The 11 temples under construction included temples in Paris, France; Tucson, Arizona; Meridian, Idaho; Cedar City, Utah; Rome, Italy; Concepción, Chile; Barranquilla, Colombia; Kinshasa, Democratic Republic of the Congo; Durban, South Africa; Fortaleza, Brazil; and Lisbon, Portugal (see “Mormon Temples Currently Under Construction,”). To see a list of current temples, visit temples.lds.org. Millions of people around the world have found peace, fellowship, and answers to their questions in The Church of Jesus Christ of Latter Day Saints. To find out how to meet with Mormon missionaries in your area, visit mormon.org. While a lot of attention is paid to worldwide growth, Church growth within the United States continues as well. The real measure of Latter-day Saints is the depth of their faith and how it changes people’s lives.